People who eat the standard American diet lack the micronutrients and phytonutrients found in whole foods. 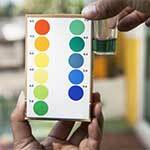 MultiMedica helps fill the gap. I've been taking NuMedica MultiMedica without Iron for about a year. Seems to be an effective multivitamin. This product works really well. NuMedica MultiMedica is not the only possible supplement you could purchase that would give you good nutritional supplementation. However, it is the best multivitamin we have found on the market. We have thousands of clients who agree with us, and many vow to never go without it again. It's special because it combines the best of traditional vitamins with: herbs, fruit and root extracts, and minerals that have been specially formulated for maximum absorption. This is our staff's go-to multivitamin- need another endorsement? People who devote their lives to intentional living, low stress, clean eating, and hormonal balance, generally do just fine without a multi-vitamin. What do I mean? If you eat a completely clean diet (no GMO's, organic, fresh picked, good soil, etc...) you probably do not need a multi-vitamin. If you know your hormones are in balance, and you eat a clean diet, you could skip the multis. If you have your stress under control, and are exercising regularly. If you want to buy a grocery store brand vitamin that has no backing of it's potency and purity, you should probably skip the multi-vitamin. You don't really know what you're getting, and your money would be better spent buying healthy, organic foods. Most people do not eat perfectly. The drive-through happens, and so do sodas. You need something to help your body process the oxidative stress this puts on your system. MultiMedica helps these detoxification pathways. Environmental toxicity is high- this challenges our detox systems. Nutrients are the spark-plugs of our detox systems. That means, no good nutrition, no way for your body to rid itself of toxins. The very workings of every cell of your body relies on vitamins and minerals. If you don't eat organic, the amount of nutrients is reduced, even if you are eating "whole foods". Processed foods are without phytonutrients. These are chemicals found in plants, and they stimulate human cell regeneration as well as detoxification. They are often named after plants they are found in (pumpkin seed extract for example). NuMedica Multimedica is designed to provide multivitamin support as well as a range of minerals and nutrients to complement women's health needs. NuMedica Multimedica can provide women with the vitamins and nutrients they need, particularly during times of stress-and when are weeks entirely stress free? Chronic stress can deplete a woman's physical resources, cause adrenal fatigue, and lead to other serious health problems if not successfully combated. NuMedica Multimedica is designed, therefore, to provide the body with the nutritional stores it needs to repair and rejuvenate the body. This supplement's ingredients also offer antioxidant support and support for healthy bones and thyroid function. Our hormones shift with age but also throughout the month. Nutrition like the vitamins and nutrients within NuMedica Multimedica help to quickly restore balance to hormones. Stress can also cause the adrenal glands and hormones to become unbalanced. By taking a natural supplement, can support your adrenal system to more effectively ward off adrenal fatigue, which is typically caused by chronic stress. Stress affects people differently, but chronic stress isn't good for anyone. People who suffer from stress can experience both physical and mental issues. While such issues may be medicated, it is good to know that many may be warded off through vitamins, minerals, and nutrients such as those contained in natural supplements like NuMedica Multimedica. Multimedica combines the best of traditional vitamins with: herbs, fruit and root extracts, and minerals that have been specially formulated for maximum absorption. This is our staff's go-to multivitamin- need another endorsement? NuMedica MultiMedica for Women provides high quality comprehensive vitamins, minerals, amino acids and herbals, specifically designed to address the unique nutritional requirements of women. 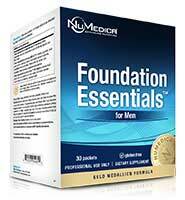 NuMedica MultiMedica for Men provides high quality comprehensive vitamins, minerals, amino acids and herbals, specifically designed to address the unique nutrient needs for male adolescents, adults and seniors. 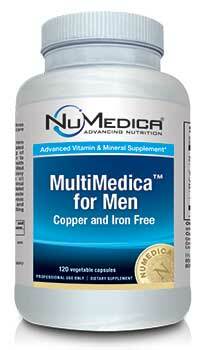 NuMedica MultiMedica Without Iron provides high quality comprehensive vitamins, minerals, amino acids and herbals. Directions: Take four capsules daily or as directed by your healthcare practitioner. Other Ingredients: HPMC (vegetable capsule), rice flour, silica. Albion, TRAACS, DimaCal and the Albion Medallion are registered trademarks of Albion International, Inc. Malates covered by U.S. Patent 6,706,904 and patents pending. 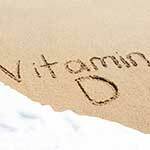 Caution: Excess vitamin A intake may be toxic and may increase the risk of birth defects. It is also recommended that children under four should not regularly consume more than 2,500 IU per day. Keep out of reach of children. Think back to the time of your great-grandparents. What types of food did people eat back then? For the most part they ate what they could grow on their land or what they got locally from a Farmer's market or some other community-based food supply. So what happened to our food? Why are so many of us sick, overweight and tired? Do your relationships need some supplements? Try these relationship MultiVitamins from this 7-part blog series! Conflict is a part of every single relationship of substance. How do you choose to resolve it? Natural rhythms happen in sleep and in relationships. Melatonin and honesty are what we examine today. Unsung heroes in health, and in your relationships can be key to your success. Stress is inevitable in conflict. Ask yourself "Am I stirring the pot, or is this worth the fight?" 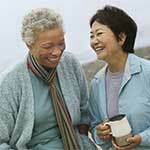 Slow the aging process in your body and in your relationships through Resveretrol and through the fruits of love. 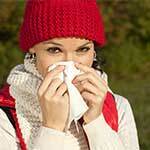 Today we're looking at two mini-eco-systems: the immune system and marriage! Smile, Life is Good- The Ultimate Stress Busters! One of my goals this year is to continue to ratchet down my stress levels. 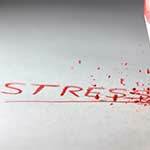 Stress is not good for anyone, but it's especially dangerous for those with chronic disease. Last week, a friend asked me how to keep stress under control? The short answer is, you can't. 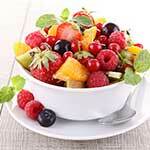 BUT, you can give your body the nutrition it needs to cope with the daily stresses of life. Think about the definition of Supplements. It means that they supplement for a lack of something. Learn more in part two of this blog series entitled Seven Tips For Balanced Living. When working toward resetting metabolism, one often overlooked key is getting your supplements and nutrients right. Resetting your metabolism is not only for people with huge amounts of weight to lose. 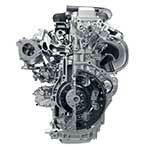 Sometimes, it's more about getting your body to respond appropriately to the fuel you give it. People talk about stress all the time, and sure, we all know what it feels like! But how does our body actually handle stress, and what in the world does that have to do with getting fat? How can you support your adrenal glands more? Adrenals are what help your body respond to stress, and when not properly cared for, weight gain can result! Daily dose supplement pack for Men contains NuMedica MultiMedica Men, Omega 600 USP EC & CoQ-Clear 100 in 30/60 packet size. A natural and nutritional supplement that contains multivitamins, minerals, and super foods that complement health.